In this post I'm going to talk about Volatility. Volatility is one of the best tools for memory forensics. 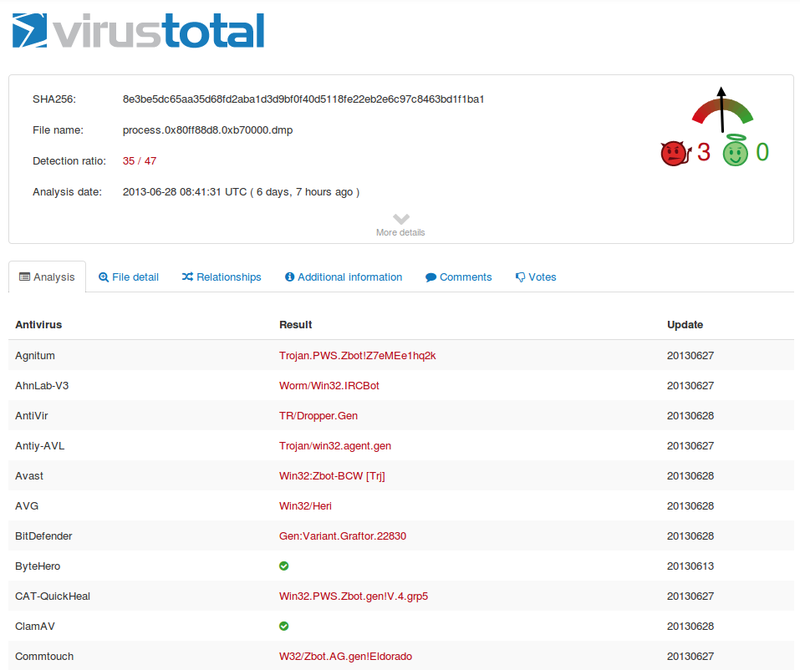 It is an open source framework writen in python for incident response and malware analysis. 1) With the option "imageinfo" you can find out what type of OS was running. 2) Now, we are going to watch what processes were running on the computer when the memory dump was recorder. 4) Ok. Our machine was making connections with 193.104.47.75 by the 80/tcp port. The proccess Pid is 856. 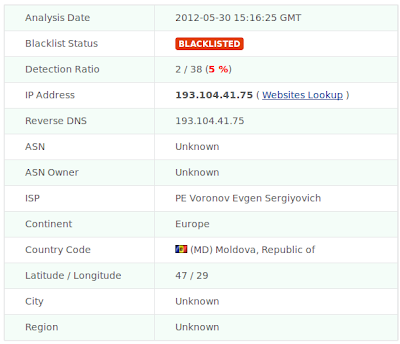 We want to know whether this process belong to an Internet Browser. 5) We can see that svchost.exe is the process which is making connections with193.104.47.75 instead of an Internet Browser... 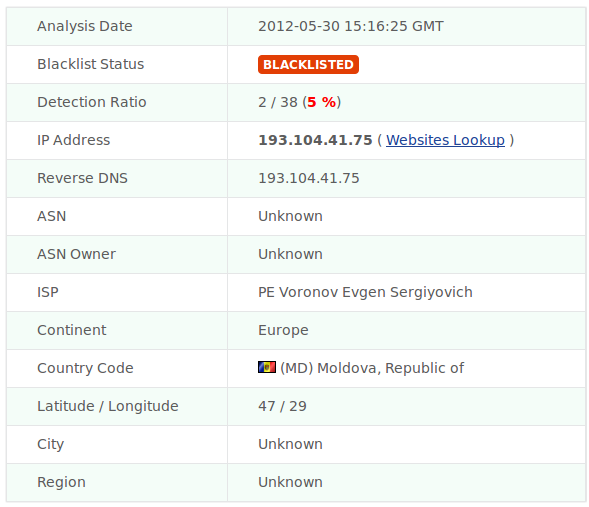 This is not common... Is this IP address blacklisted? 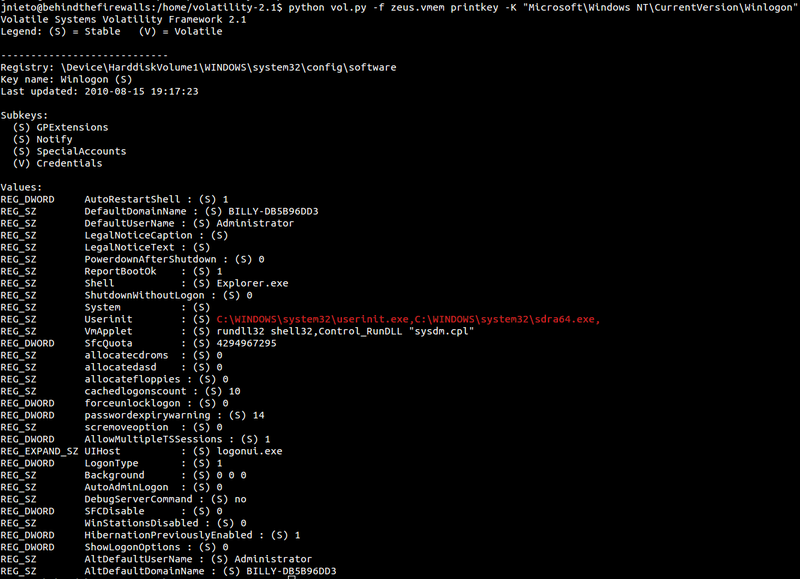 python vol.py -f zeus.vmem printkey -K "Microsoft\Windows NT\CurrentVersion\Winlogon"
8) We are really interested in dumping the process with the Pid 856 which has established connections with the blacklisted servers. 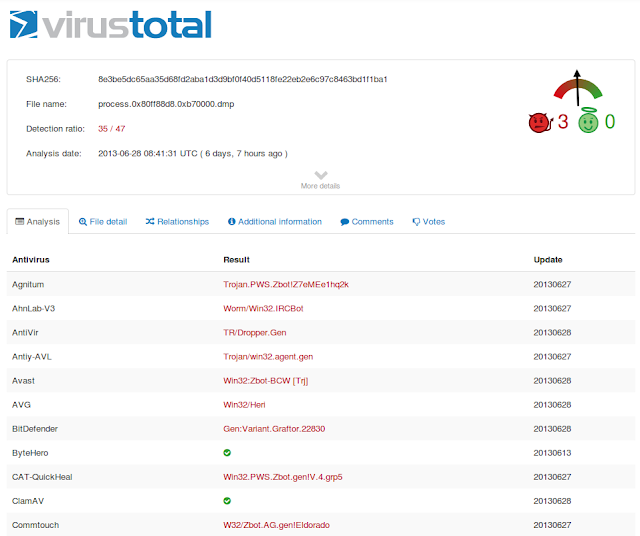 9) Now, I'm going to get the SHA256 hash in order to search in Virustotal and see if this process is recognized by any Antivirus. 10) We are going to use the mutantscan command. With this option, we can display all objects. I was looking for this object on Google. 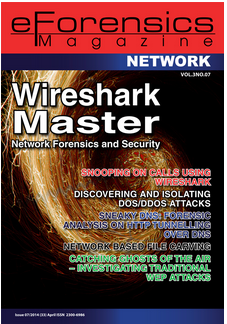 I visited www.fortiguard.com and found this. 11) This trojan usually shuts down our Firewall.. We can check it with the next command. 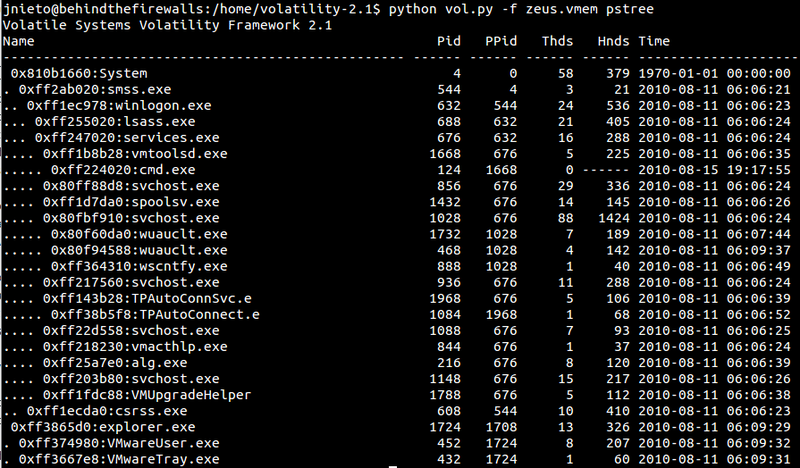 python vol.py -f zeus.vmem printkey -K "ControlSet001\Services\SharedAccess\Parameters\FirewallPolicy\StandardProfile"
This is evidence that the computer was infected with Zeus Trojan. In the next post, we are going to analyze another memory dump with Volatility. Hi, have you tried apihooks plugin with this zeus.vmem? I followed the book to scan for IAT hooks but all I got were Inline/Trampoline hooks. :-?